RATIONAL SelfCookingCenter® combi ovens have long been the go-to appliance for volume-driven foodservice operations, but now RATIONAL has opened up its technology to a wider audience with the launch of the new XS Unit. RATIONAL account for one in every two combi ovens sold, but until now hasn’t been able to address all areas of the market due to the footprint of its equipment. That is all set to change, with the new XS unit offering the perfect solution for supermarkets, petrol stations, convenience stores, cafés, QSR’s and coffee shops, or any situation where space is at a premium. The RATIONAL SCC- XS model contains the full power of the larger units, but in a footprint that is just 555mm deep, 655mm wide and 567mm high. This size allows the unit to be mounted on a counter or bench taking up minimal space. In addition, a full range of cooking accessories are available in the appropriate 2/3 GN size, which include grilling and pizza trays, cross and stripe grill grates, and roasting and baking trays. The now smallest unit in the SelfCookingCenter® family is in no way inferior to the larger units in terms of features and performance. The oven is equipped with a fresh steam generator and other features such as iCookingControl, which is intelligent support for the chef who senses and recognises the sizes, load quantity and condition of products. It calculates the appropriate browning by itself and, according to the desired result, makes the necessary decisions and adjusts the temperature, cooking time, air speed and cooking cabinet climate to best suit the food requirements. It also offers iLevelControl, the assistant for optional mixed loading; HiDensityControl, which guarantees top food quality and maximum uniformity through the best performance and precise regulation of cooking chamber conditions; and Efficient CareControl, for automatic cleaning and descaling. It can be built-in, wall-mounted or installed as a standalone unit, and will produce snacks, take-away dishes and baked goods, as well as healthy lunchtime dishes. To read the original article from on the Comcater Website click here. 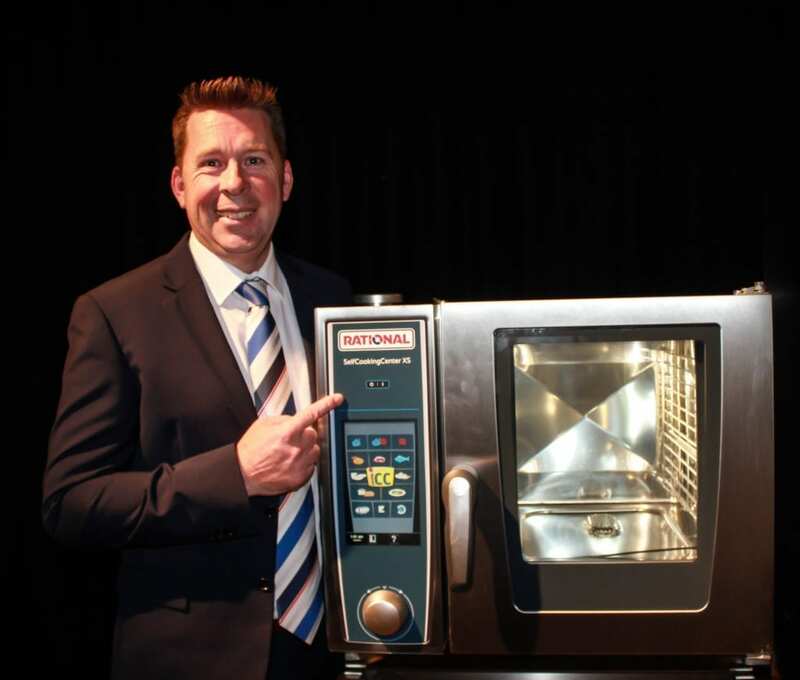 We are Australia’s King of the Combi’s as the Leading Reseller of Rational Combi Ovens in Australia.